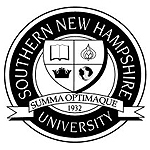 Stevens Strategy reviewed the mission-centeredness, quality and financial performance of one of the schools at SNHU and offered recommendations for the direction the school should pursue in the future. Thank you for your good help on this project. Your report is helping us to focus the discussion and move things along. Your greatest strength is John’s ability to quickly understand the nature of the problem and his ability to listen and hear accurately… [He] did a great job with little notice and little background information… As usual, it was a pleasure to work with [him]!